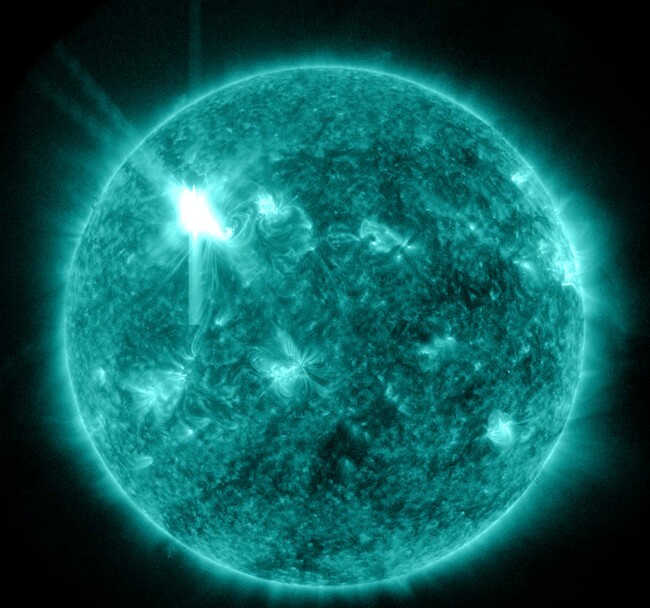 This extreme ultraviolet wavelength image provided by NASA shows a solar flare. An impressive solar flare is heading toward Earth and could disrupt power grids, GPS and airplane flights. Forecasters at the NOAA’s Space Weather Prediction Center said the sun erupted Tuesday evening, and the effects started smacking Earth late Wednesday night. They say it is the biggest in five years and growing.